Sportmans guide recently got these in and the price was attractive so I snagged a couple. I know they're German and I assume by the color that they are not regular military but I really have no idea what they are. I'm sure you guys do though so please enlighten me. 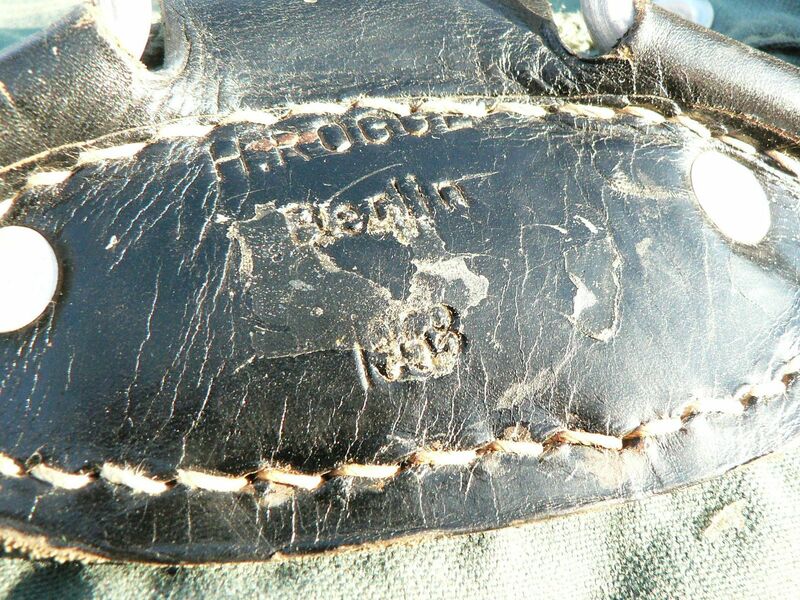 Both are marked H. Rogge Berlin. One was made in 1954 and the other (the one pictured here) is 1958. They are essentially identical. Condition is by no means collector grade but they are 100% useable which is what I bought them for anyways. So, let's take a look. Although you can only see two lashing points on the top flap, there are actually five. Also not shown are two lashing points on each side of the pack. The long reinforcement running along the rear top in the picture above is hard and reminiscent of a dogs rawhide chew. I assume that this is to help the bag keep its shape while strengthening where the shoulder straps attach. So, as stated, these are not in unissued collector condition. They have obviously been issued but I took one on a camping trip this weekend in near zero temperatures and it performed just fine. 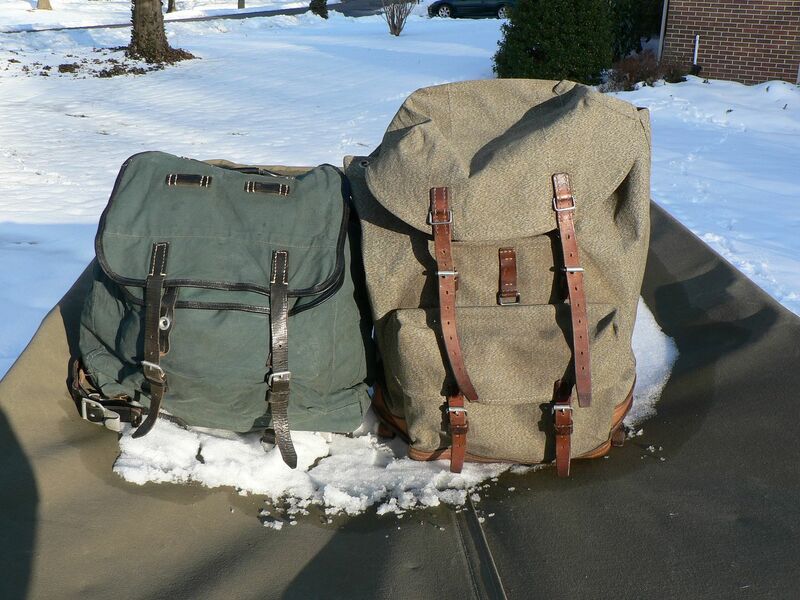 I assume that these will hold up for years of use but I would like to know what I'm lugging around. So what are they guys? Thanks! 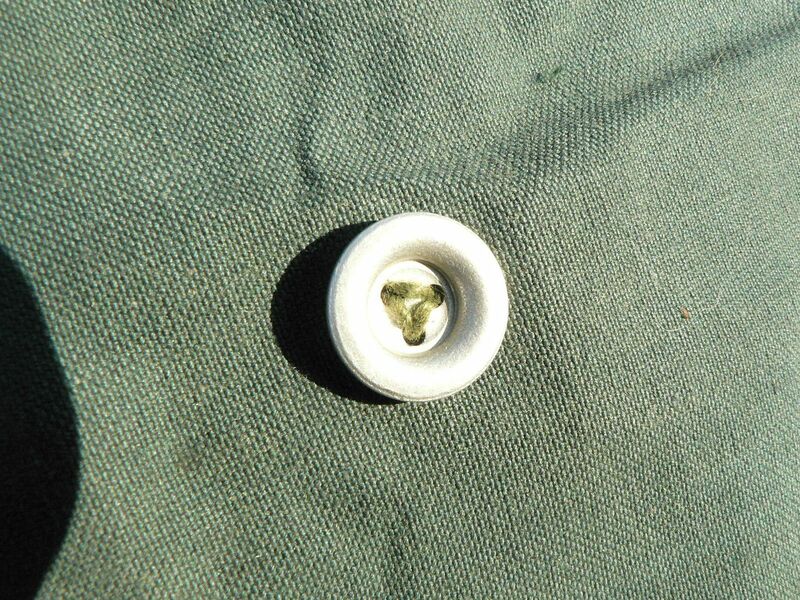 The green one is BGS or Polizei (I'm sure a member who specializes in that field will tell you exactly which). I believe the green one is BGS. The grayish/khaki one is unknown to me. I don't think it is Polizei. Could even be civilian. Thank you. The other one is Swiss. I put it in there for size comparison purposes. 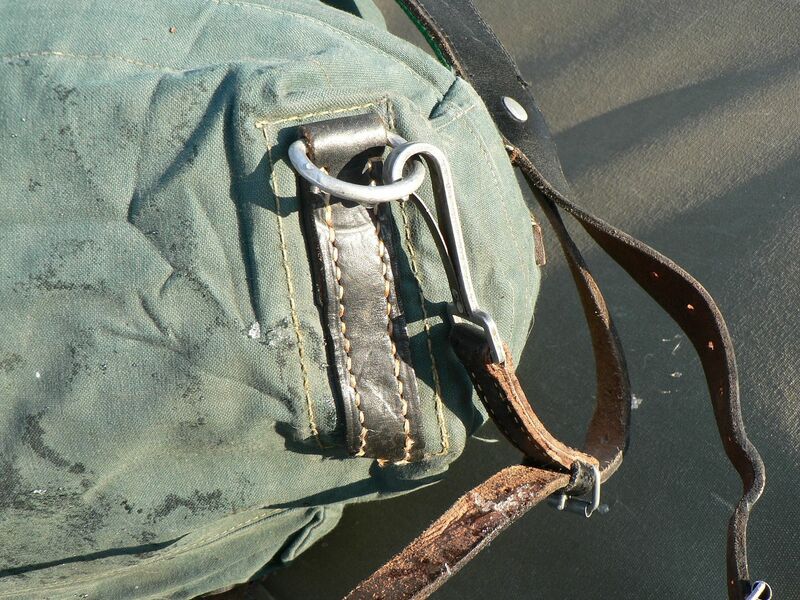 Yes, is BGS rucksack as others confirmed, have a few photos of these in use in 1950s and interestingly almost never see a blanket or Zelt roll worn on them, despite the loops for it. I have similar one dated 1954 and made by Larsen. I think most Polizei units used different models, depending on Bundesland. Would you be so kind as to post a few pictures Klaus? I have not looked at it for long time, so I had the maker and date wrong! 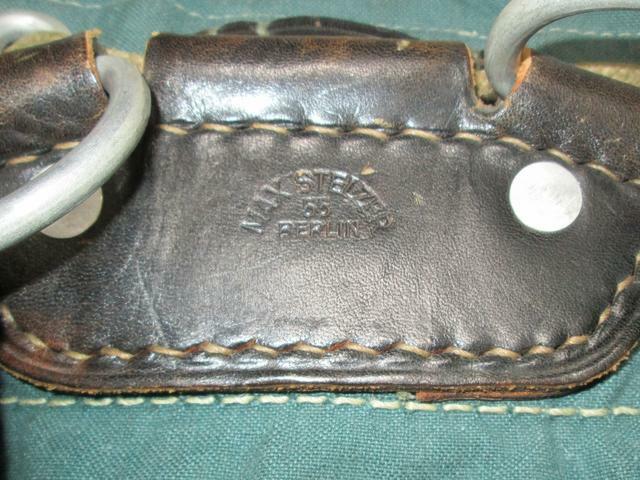 It is actually dated 1955 and made by Max Stelzer, Berlin. But I have also seen ones made by Larsen. Owner's name is written on one of leather strips inside. The colour looks a little intenser from the lighting, but is actually darker. 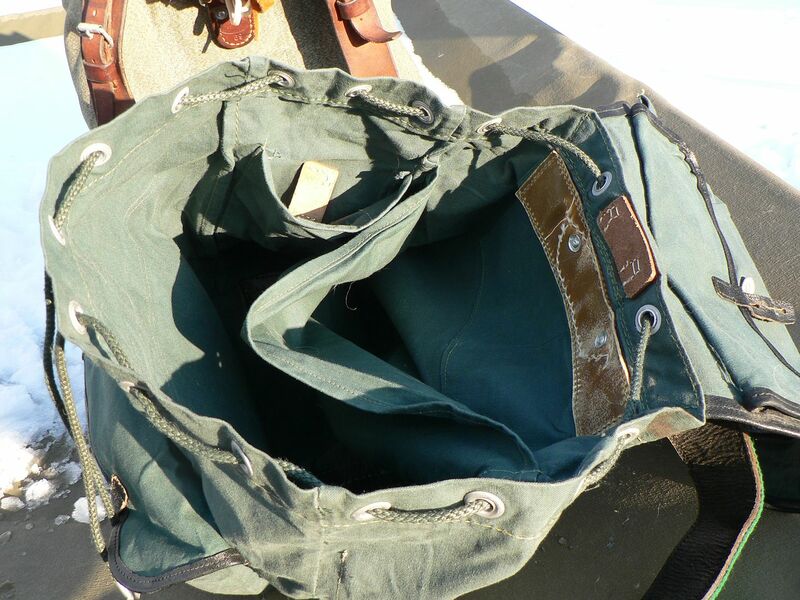 The earliest BGS equipment in dark green canvas appear to be from 1954. Ca. 1954-57 or so, they appear to transition from early grey-green to familiar schwarzgrün. Not have any info on the history of BGS Rucksäcke, but have not seen any in this model dated earlier than 1954 or 55 (or in any other colour). Wish I could find regulations for how to pack these. 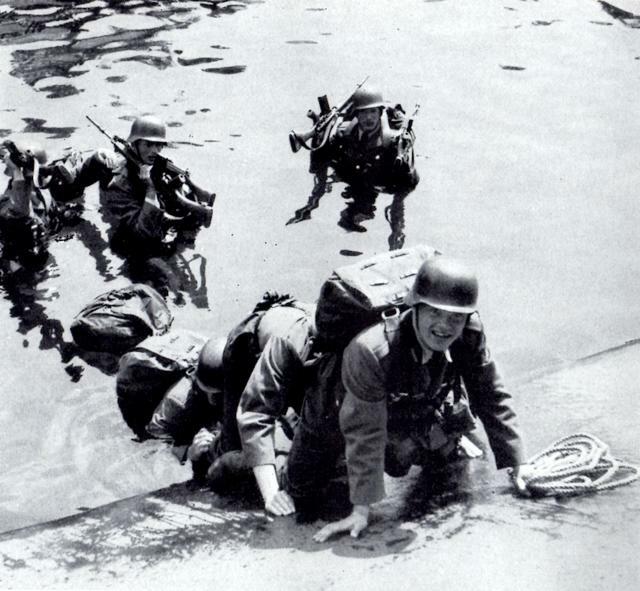 Here is scanned photo in use during an exercise from book "Der Bundesgrenzschutz" (1961/66). Yes, 100% BGS. I think no other Organisation bought Stuff from Berlin Makers during the Cold War as it normally was illegal by Allied Laws (but tolerated). 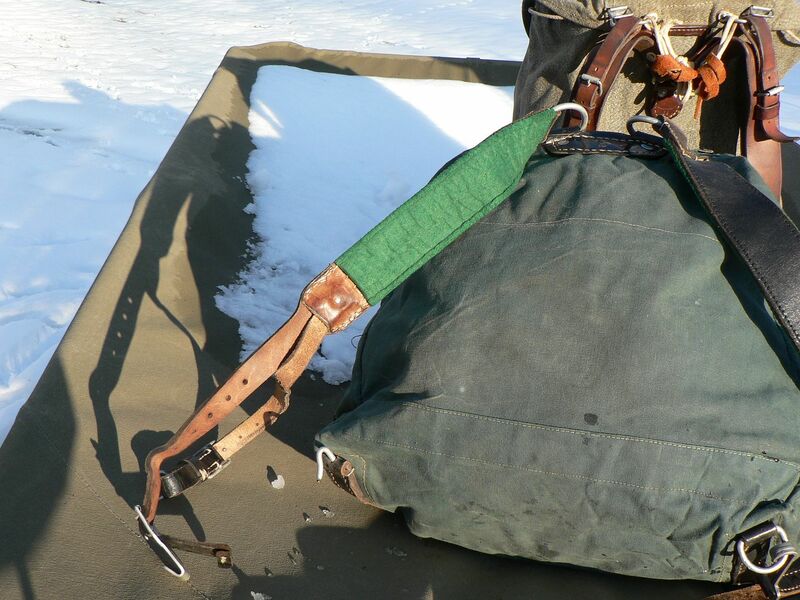 I've used it for some winter camping so far and an overnight trip. It's a good design! 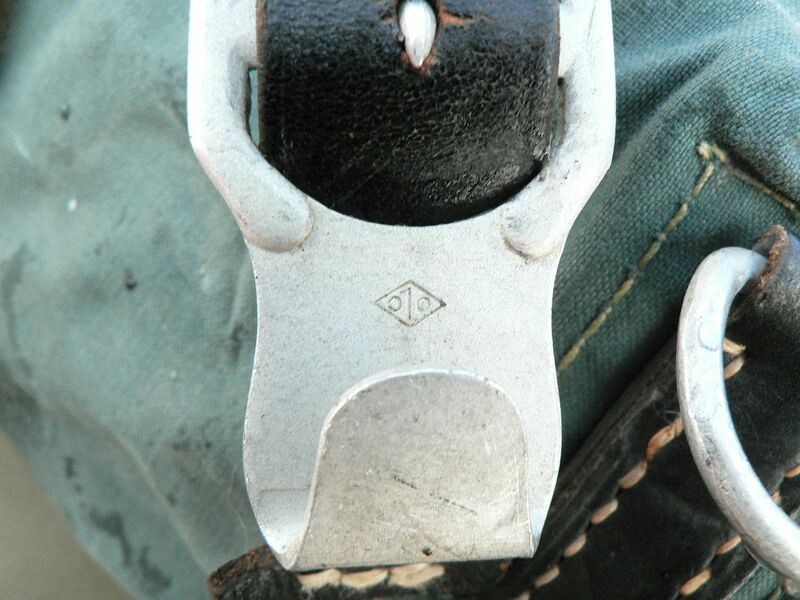 The quick release strap is great too because of the way the design rides the straps so high up your side. It makes removal of the pack much easier. However, you need someone to help you unlatch it. To look at the bag, it appears to be small but you can fit a surprising amount of stuff in it. I'm quite happy with it and it's a nice color too! 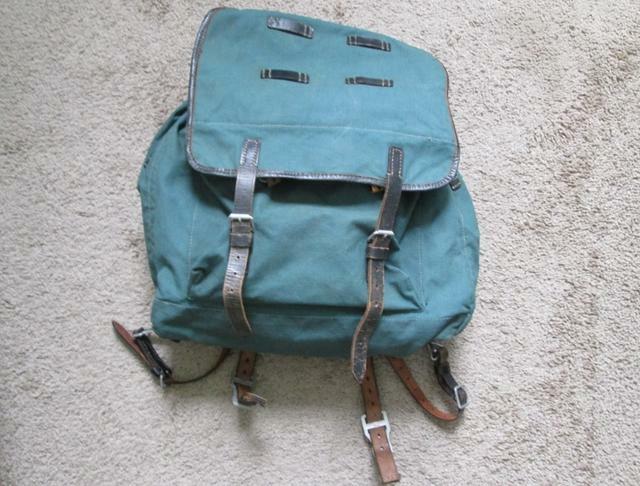 It has some PRYM snap buttons inside and looks almost like a Gebirgsjager pack, but has no side pockets. Was this an actual model for mountain troops or was it for a different organisation within the WH/SS? 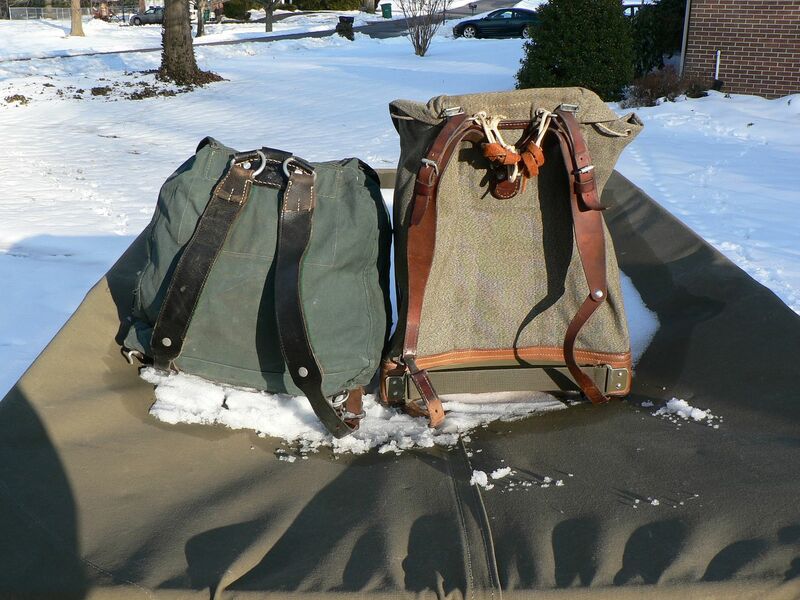 Or do I just have a light-khaki BGS bag? would need to see photos, description is too vague to understand. 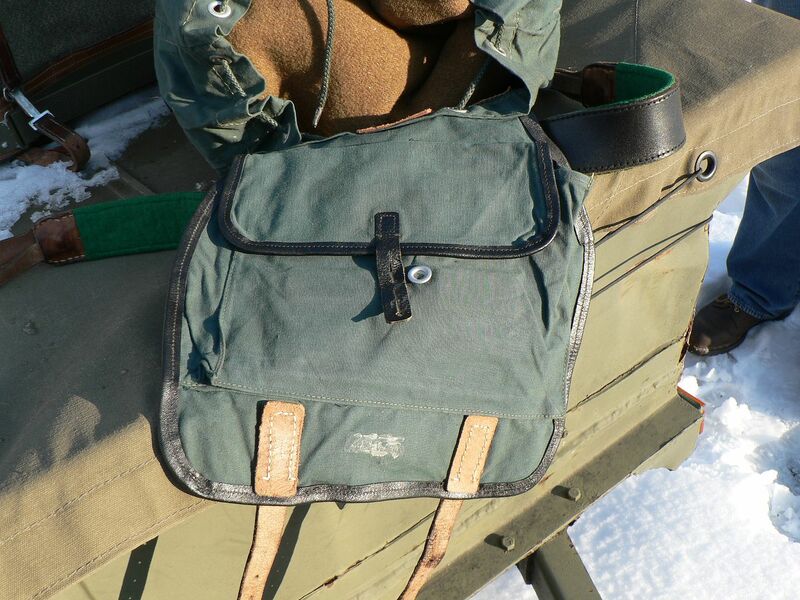 There is also many types of civilian rucksacks, some with similarities with WH Gebirgsrucksack. 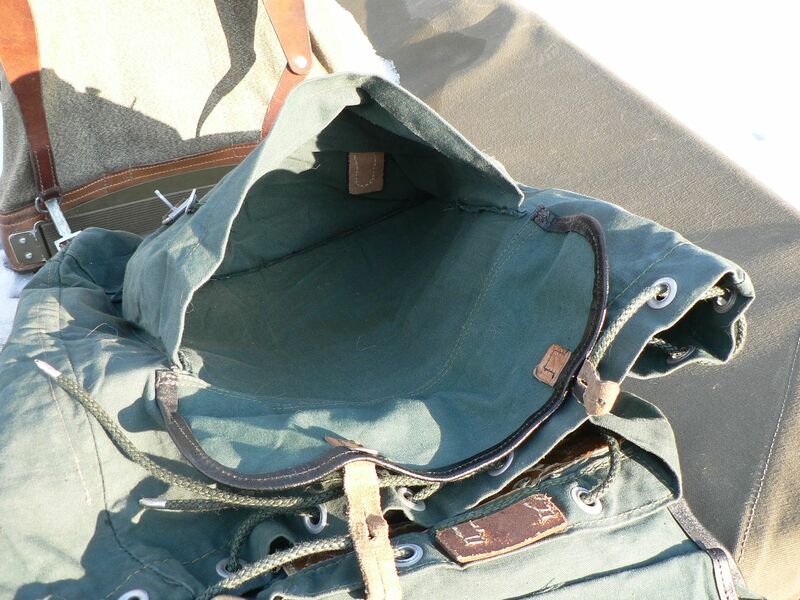 BGS rucksacks were never khaki and this pattern not seem used by other organisations. 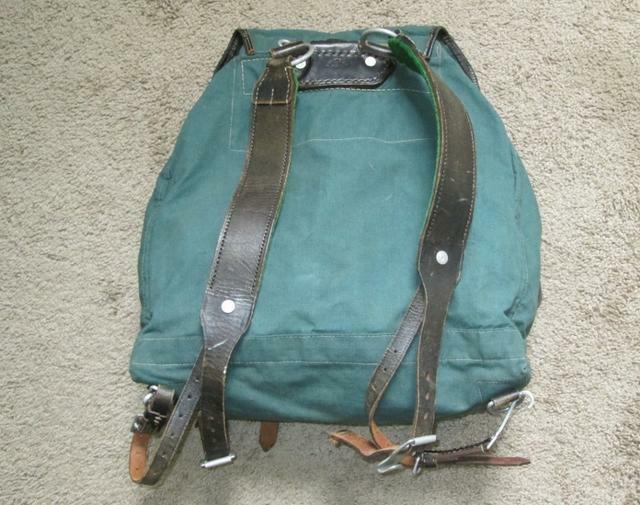 Closest would be the Tragesatz/Bergungsrucksack used by civil defence organisations, but even larger and had side pockets. 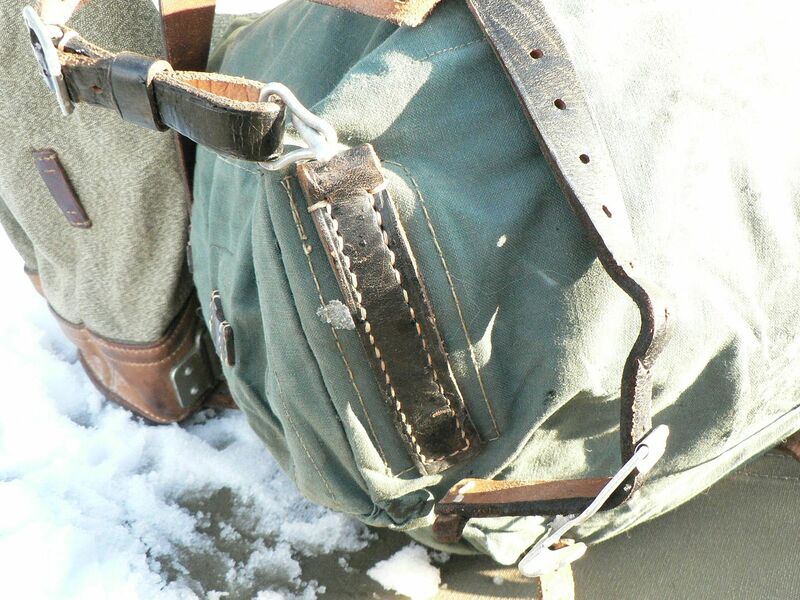 Most Landespolizei units seemed to prefer the more traditional smaller rucksack with 2 front pouches.